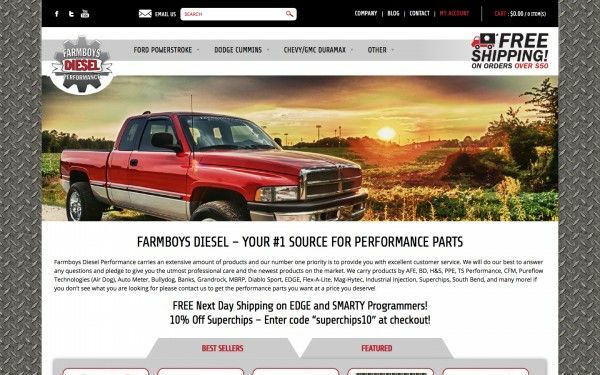 Since 2005, Farmboys Diesel Performance has been establishing itself as a trusted company in the diesel performance arena. 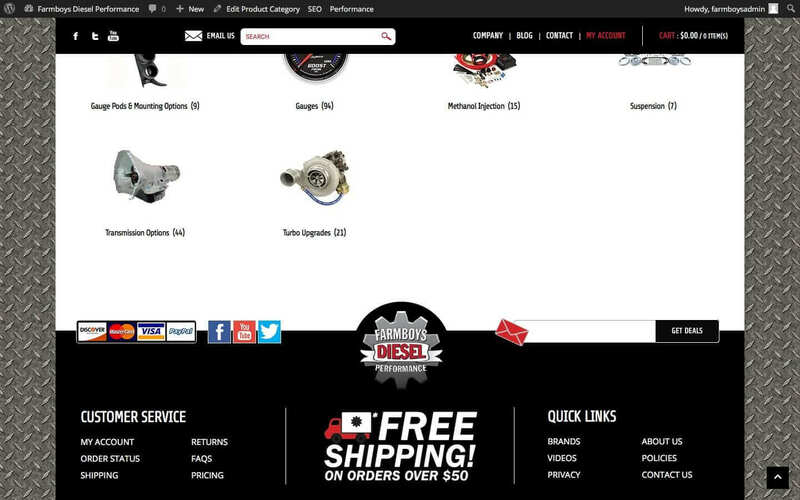 Farm Boys Diesel is an independently owned distributor of quality diesel products designed for Dodge Cummins, Ford Powerstroke, and Chevrolet Duramax pick-up trucks. They also offer products for other diesel applications such as Volkswagen, Mercedes-Benz, and various models of tractors. 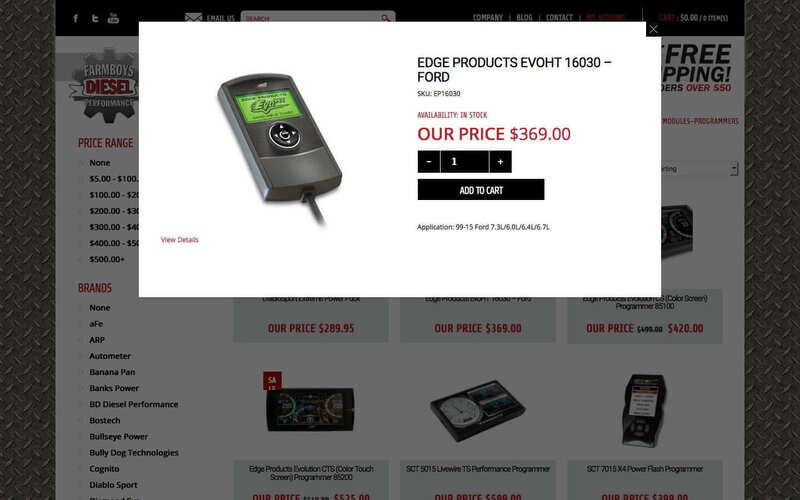 The team carries an extensive variety of performance products and are a proud vendor of popular brands such as AFE, ARP, Autometer, EDGE, Flex-A-Lite, Industrial Injection, MBRP, Mishimoto, SouthBend and many more.